Isowall is a mini-firewall that allows you to completely isolate a device from the local network. This is for allowing infected machines Internet access, but without endangering the local network. This project depends upon libpcap, and of course a C compiler. This will put the binary isowall in the local isowall/bin directory. This should also work on Windows, Mac OS X, xBSD, and pretty much any operating system that supports libpcap. First, setup a machine with three network interfaces. 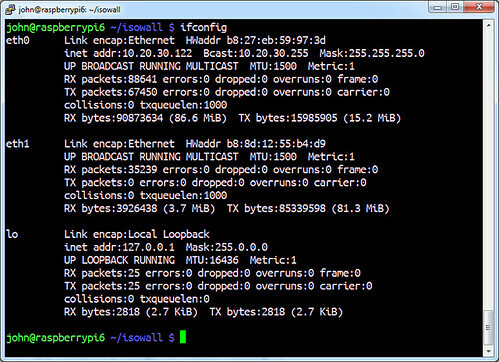 The first network interface (like eth0) will be configured as normal, with a TCP/IP stack, so that you can SSH to it. The other two network interfaces should have no TCP/IP stack, no IP address, no anything. This is the most important configuration step, and the most common thing you’ll get wrong. For example, the DHCP software on the box may be configured to automatically send out DHCP requests on these additional interfaces. You have to go fix that so nothing is bound to these interfaces. Or read more here – the author can be found on Twitter here @erratarob. One of the big advantages touted by Bitcoin (and other cryptocurrencies) was always the anonymity of the transactions, yes you can track a wallet address and see the transaction history. But there’s no real way to link that wallet address to a real person (so we thought). I mean other than any leaky fiat exchange process (most of which do require proper registration using passport/ID etc), but now it seems there is a way. 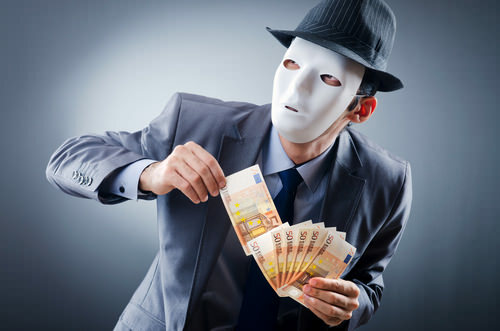 It seems like 11% of Bitcoin transactions can be ‘unmasked’ fairly easily, without any sign that it’s happening. Unmasking in this context meaning linking the transaction in the blockchain to a public IP address. The cyber-libertarian poster-child Bitcoin, meant to usher in a new age of anonymous transactions, is rubbish at protecting users’ IP addresses according to research from the University of Luxembourg. In this Association of Computing Machinery (ACM) conference paper by Alex Biryukov, Dmitry Khovratovich and Ivan Pustogarov of the Laboratory of Algorithmics, Cryptology and Security, “few computers” and a budget of €1,500 per for servers and traffic charges should be enough to start unmasking users’ addresses with as much as 60 per cent accuracy. If an attacker needed to be stealthy, their success rate would drop to 11 per cent. In what they call “a generic method to deanonymise a significant fraction of Bitcoin users and correlate their pseudonyms with public IP addresses”, the authors say clients can be uniquely identified by their “entry nodes”, and that these identify the origin of the transaction. With a small amount of resources (in terms of servers, storage and bandwidth) the attacker (or in this case, researcher) can unmask up to 60% of user IP addresses using entry nodes. Obviously using something like TOR could protect against this, but even then they can reject TOR connections (But that’s very likely to be noticed in this privacy sensitive part of the Internet). “In a concrete example, an attacker with a few GB of storage and no more than 50 connections to each Bitcoin server can disclose the sender’s IP address in 11 per cent of all transactions generated in the Bitcoin network”, the paper claims. Even more scary: the boffins reckon they can identify users behind NAT firewalls – and think their attack could be extended to other P2P networks. Mapping transactions to entry nodes. The paper notes that TOR would protect against this, but that, too, can be defeated if the attacker is willing to take a risk: Bitcoin servers can be prohibited from accepting TOR connections, but refusing those connections would be noticed. Also likely to be noticed: to get their 60 per cent deanonymisation rate, the attackers noted, required “a slight DoS of the network”. On a positive note (if you’re a cryptocurrency fan), is that this shows that Bitcoin is gaining traction with academics spending their effort looking into it. I’m glad these kind of issues are being uncovered, I just hope they get addressed by the core dev team. Interesting times ahead I reckon. So it’s been a while since we’ve talked about any flaws in WordPress – because usually they are pretty dull and require such an obscure set of circumstances, that they are unlikely to ever occur in the wild. The most recent time was this year actually, but was a DoS attack, which is not THAT damaging – XML Quadratic Blowup Attack Blows Up WordPress & Drupal. But this, this time it’s different – this one is pretty seriously. Fortunately it’s not a vulnerability in the latest version of WordPress (4.0) but only affects those people still sticking to the latest version on the 3.x branch (3.9.2 or below). Obviously if you’ve gone the ‘cloud’ way and don’t allow ANY user input at all, and are using only Facebook Comments/Disqus/LiveFyre etc then you are safe. 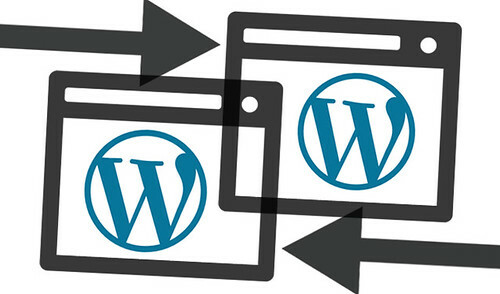 Separately, the developers of WP-Statistics, a WordPress plug-in that gathers and displays visitor statistics, issued an update to fix a high-risk XSS flaw that’s similar to the ones fixed in the content management system itself. As a side note, there is also a similar vulnerability in the popular plug-in WP-Statistics, which also fails to sanitize data and falls foul to the same kind of XSS (which allows addition of an admin account by the malicious user). There’s an update available for the plugin, so if you’re usint it – get it updated! And of course update WordPress core as well, if your auto-updates failed. Sparty is an open source Sharepoint and Frontpage auditing tool written in python to audit web applications using sharepoint and frontpage architecture. The motivation behind this tool is to provide an easy and robust way to scrutinize the security configurations of sharepoint and frontpage based web applications. Due to the complex nature of these web administration software, it is required to have a simple and efficient tool that gathers information, check access permissions, dump critical information from default files and perform automated exploitation if security risks are identified. A number of automated scanners fall short of this and Sparty is a solution to that. Sharepoint and Frontpage Version Detection! 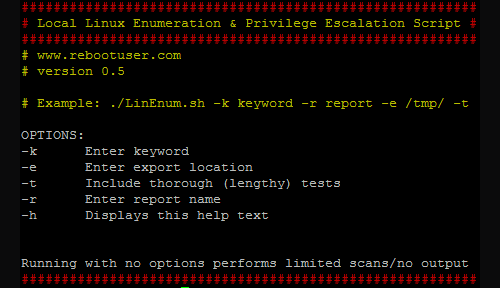 Dumping Password from Exposed Configuration Files! Installed File and Access Rights Check! Usage: sparty.py [options] Options: --version show program's version number and exit -h, --help show this help message and exit Frontpage:: -f FRONTPAGE, --frontpage=FRONTPAGE <FRONTPAGE = pvt | bin> -- to check access permissions on frontpage standard files in vti or bin directory! Sharepoint:: -s SHAREPOINT, --sharepoint=SHAREPOINT <SHAREPOINT = forms | layouts | catalog> -- to check access permissions on sharepoint standard files in forms or layouts or catalog directory! Mandatory:: -u URL, --url=URL target url to scan with proper structure Information Gathering and Exploit:: -v FINGERPRINT, --http_fingerprint=FINGERPRINT <FINGERPRINT = ms_sharepoint | ms_frontpage> -- fingerprint sharepoint or frontpage based on HTTP headers! -d DUMP, --dump=DUMP <DUMP = dump | extract> -- dump credentials from default sharepoint and frontpage files (configuration errors and exposed entries)! -l DIRECTORY, --list=DIRECTORY <DIRECTORY = list | index> -- check directory listing and permissions! -e EXPLOIT, --exploit=EXPLOIT EXPLOIT = <rpc_version_check | file_upload | config_check> -- exploit vulnerable installations by checking RPC querying and file uploading -i SERVICES, --services=SERVICES SERVICES = <serv | services> -- checking exposed services ! services ! Authentication [devalias.net]: -a AUTHENTICATION, --auth-type=AUTHENTICATION AUTHENTICATION = <ntlm> -- Authenticate with NTLM user/pass ! General:: -x EXAMPLES, --examples=EXAMPLES running usage examples ! on frontpage standard files in vti or bin directory! forms or layouts or catalog directory! Also note Python 2.6 is required. Or read more here – the author can be found on Twitter here @AdityaKSood. So the U.S. government has been getting fairly hammered lately with breaches/attacks hitting the White House, USPS (Postal Service) and NOAA. The latest victim of this onslaught has been the State Department, which had to totally shut down their email systems on November 14th after discovering various ‘areas of concern’. I wonder who’s going to fall next after this? This seems to be a fairly sustained and systematic attack, perhaps from the same perpetrators (or ‘actors’ if I was to use the new trendy infosec language). Over the course of the last several weeks, a number of high-profile U.S. federal networks have been breached by attackers. 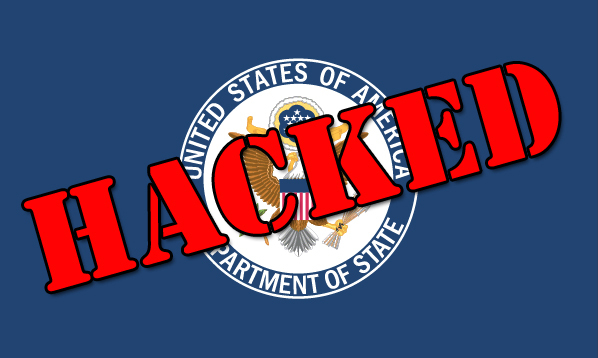 The latest organization to be breached is the U.S. State Department, which had to take its email system offline. The breach at the State Department follows attacks against the White House, the United States Postal Service (USPS) and the National Oceanic and Atmospheric Administration (NOAA). The Associated Press, which broke the story on the State Department hack on Nov. 16, indicated that the entire unclassified email system was potentially at risk. The actual State Department email shutdown occurred late Friday, Nov. 14, as areas of concern about the email system were discovered. Currently, there is no official attribution for the source of the State Department email incident. In the NOAA and White House incidents, reports have alleged that nation-state actors from China and Russia were involved. Bob Stratton, managing partner at cyber-security accelerator Mach37, told eWEEK that he was somewhat surprised at the State Department disclosure. In general, his view is that the State Department’s discussion of this attack is a constructive development. Blame it on Russia or China right? That seems to be the standard answer when it comes to things like this. It is good to see it was announced though and not swept under the carpet like it usually is. It’ll be interesting to see if we get any actual meaty details though (like how the attackers got in, what kind of information was leaked, how they fixed the issues etc.). But honestly, I don’t see that kind of openness happening any time soon. It would be nice though right? At this point, Stratton added, he’s more curious about how quickly and effectively a breached agency or company can do damage assessment, and how long it takes for them to perform remediation of the breach with confidence that it was done effectively. In the State Department incident, the email system was the target, which makes sense considering what sort of information might be present. There is no question that the use of email as a vehicle for delivery of attacks is extremely popular, and has been for a while, according to Stratton. “It makes sense if one is trying to collect information on an organization that the attacker might be interested in what is arguably the most commonly used and perhaps most critical collaboration tool,” he said. In terms of next steps for the government, Fitzgerald said the information gathered from the attacks should be used to investigate whether other areas of the infrastructure have been compromised and look for similar fingerprints in other information systems. Stratton added that he expects the State Department will be doing a damage assessment to determine what exactly was breached, and the sensitivity and implications of that, as well as developing a remediation plan. I would imagine an organisation like the State Department has access to some pretty hot forensics/incident response teams though, so they should be able to a fairly quick and thorough investigation of what happened. That is if it was handled properly and the evidence of tampering hasn’t already been destroyed by some heavy handed internal IT support staff member turning off servers and unplugging switches. They should have a pretty tight IRP in place to handle things like this though, so the chain of evidence should be pretty legit. Yah, that was an awful lot of ‘shoulds’.